Here I am creating custom select attribute ‘Burn Time’ and add options to it using install script. The script creates the attribute ‘Burn Time’ as shown below. The code below creates the attribute ‘Burn Time’ with four options. Please refer this link for the file structure. The above code adds the option to the eav_attribute_option_value table as shown below. 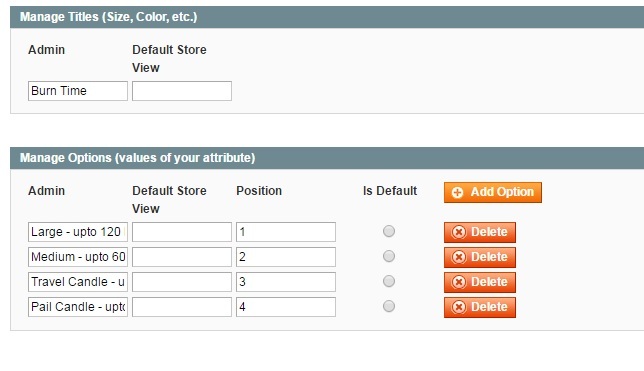 If you do not want to add the option to the database please refer this tutorial.You can get the options dynamically from the model.